Baby proofing electrical cords and outlet covers is an activity that every parent should include in their baby proofing checklist. 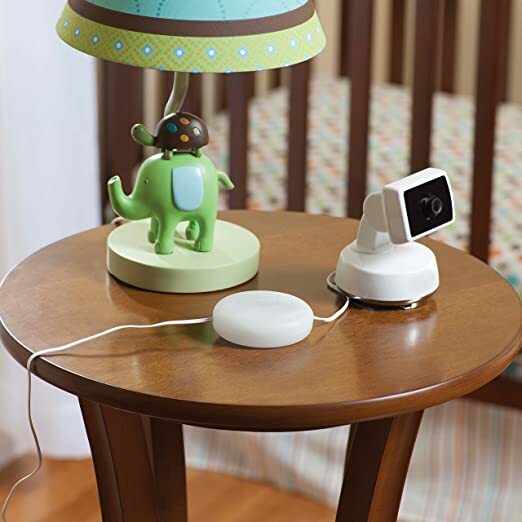 In addition to childproofing other areas in your home, whether it is the door knobs, staircase, or the cabinets, it is also important to examine and take into consideration anything that your baby may come into contact with especially the power cords. These power cables pose an electrical risk that can cause electrical shock in cases where a child may try to chew on them. Children tend to grab and pull cables out of the wall or equipment, and this may cause injuries, for instance where appliances may fall on a child after pulling the attached cord. They also pose a strangulation risk especially when kids may attempt to loop them around their necks. It is important to eliminate any exposed cables and organize them out of reach of children. They should be kept hidden behind furniture, tucked out of sight of children. There are safety devices available to help you organize the cords in a safe and secure manner. We review some of these devices here. 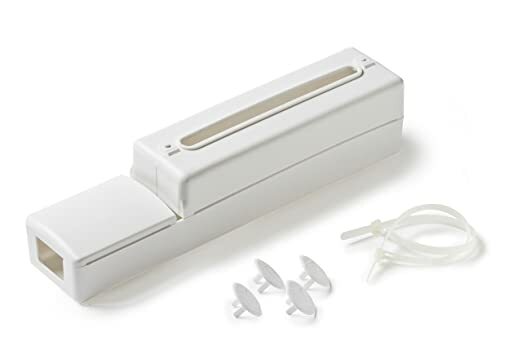 Power strip covers should be used on all surge suppressors and outlet power strips to help prevent children from removing or unplugging connections from outlets. These covers can be kept hidden behind the furniture or attached to the wall or the floor far from the reach of any child. 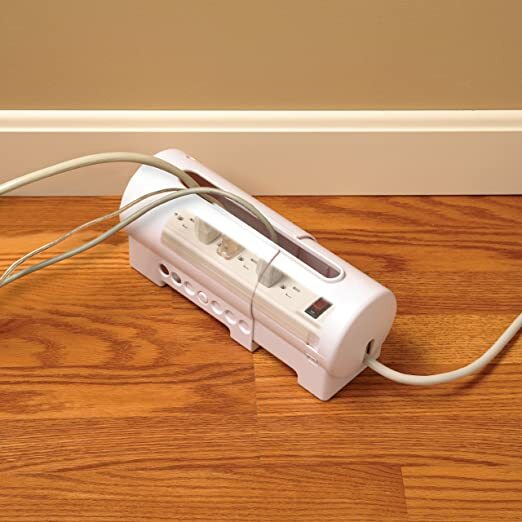 They are designed to slide over most standard single row surge protectors and power strips. They usually help to make power strips tamper resistant. These covers lock securely when in use, making it very difficult for children to open. They have slots for cords and feature sturdy plastic construction. In addition, they usually help in hiding unsightly power strips and cord clutter. They also help in minimizing trip hazards. 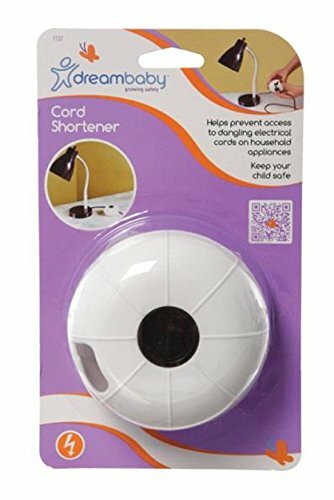 One of the ways to keep exposed cords out of reach of children is to make use of a cord shortener. These shortening devices will prevent access to hanging of dangling power cords. There is no tripping over the cables and the child can’t loop the cord on their body. 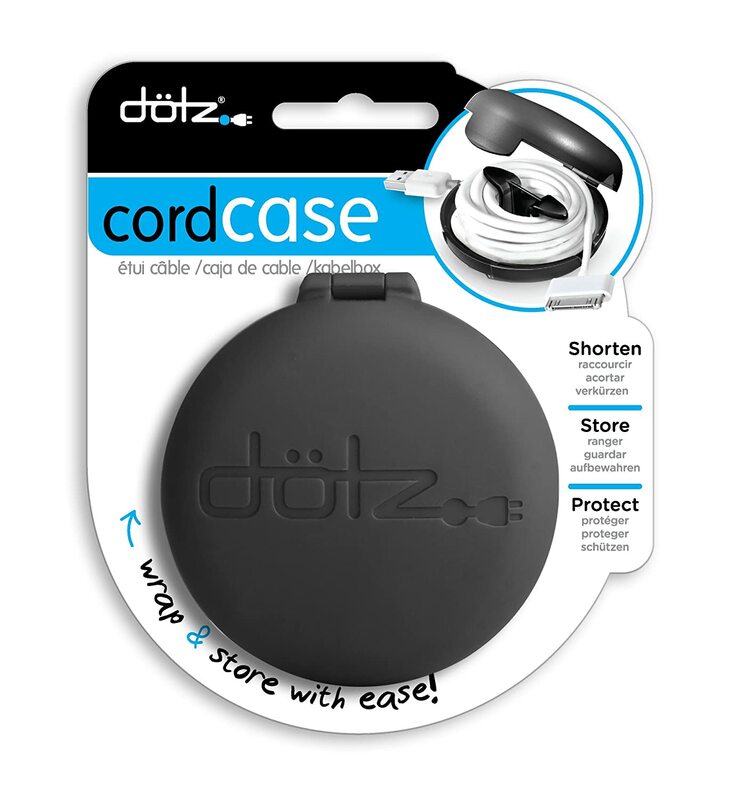 The device wraps the cord inside and also helps to keep them untangled. They are available in different designs. 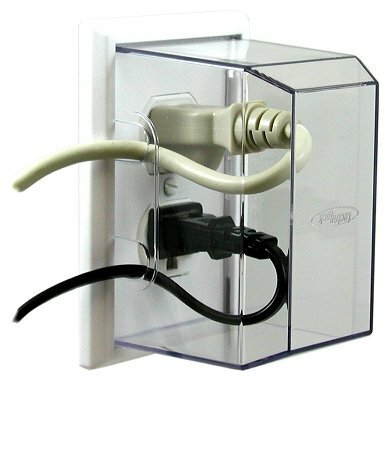 These protective devices are designed to cover exposed plugs and outlets. They are easy to install and help prevent children from unplugging the cables. Some of these covers usually come in a large size that allows storage of extra long cables, in order to keep them shortened. 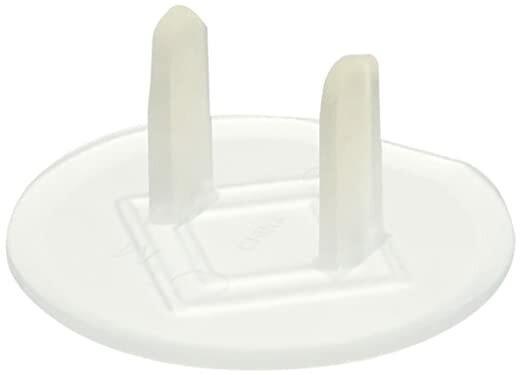 They usually cover the whole plug and they are designed in a way that is difficult for kids to remove them, once they have been installed. They come in different styles. 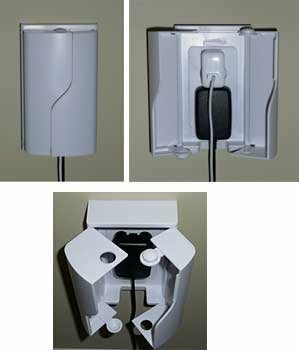 All potentially hazardous open unused outlets should be covered to prevent children from getting electrocuted especially when trying to plug in objects or even their fingers. 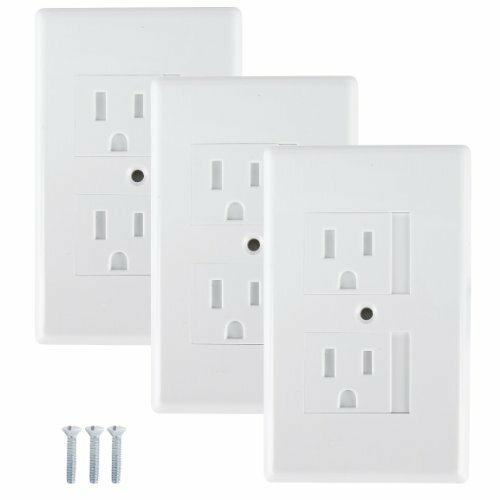 Child-resistant outlet covers provide both physical and visual barrier. These covers come in two forms. 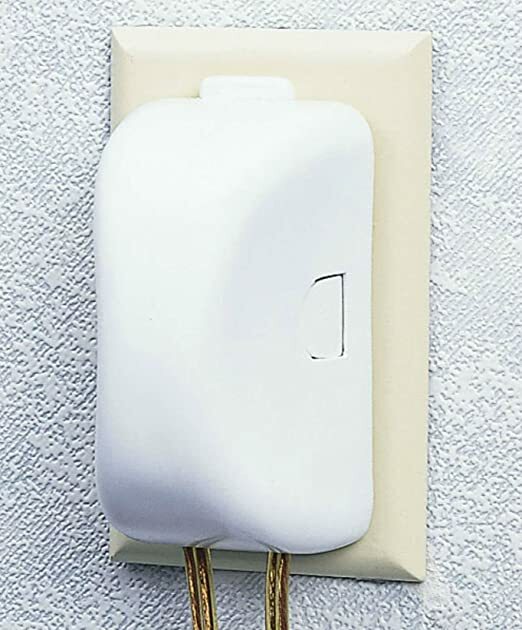 Simple plastic caps are designed to cover only the outlet openings. 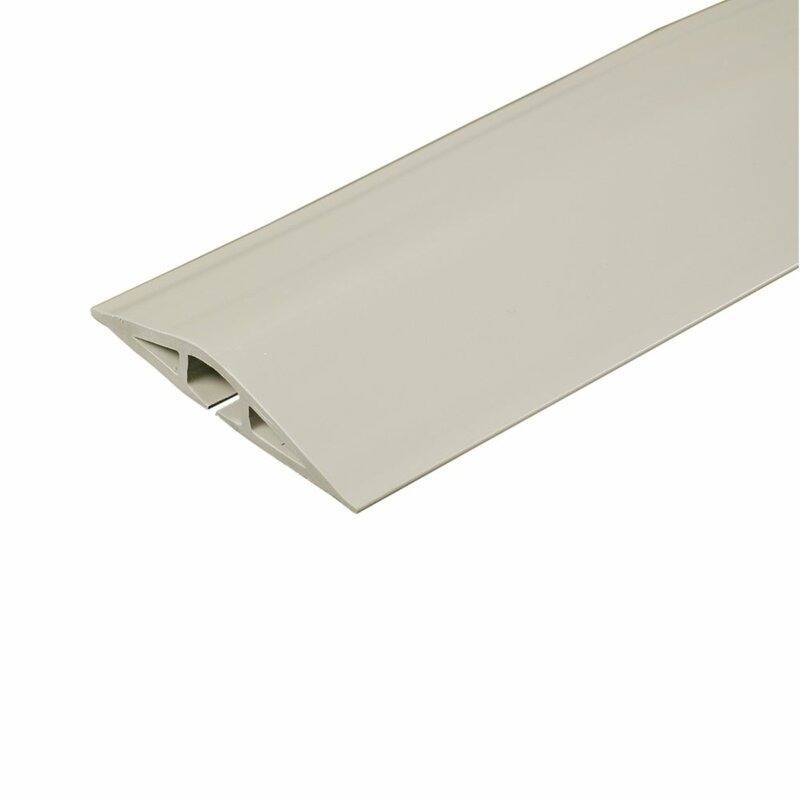 Safe sturdy plastic plates usually slide over the whole outlet, fitting firmly against the wall. 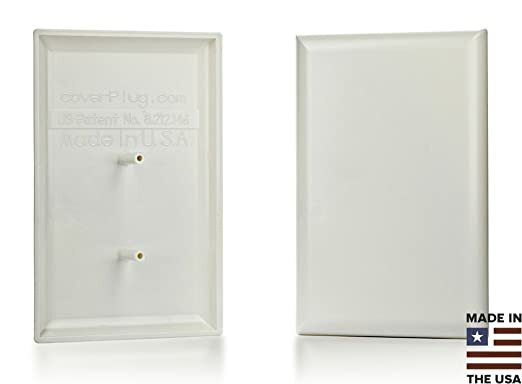 These safe plates snap back very quickly and smoothly when you unplug a cable. When your baby is learning how to walk, it is important to eliminate anything that may cause tripping hazard. 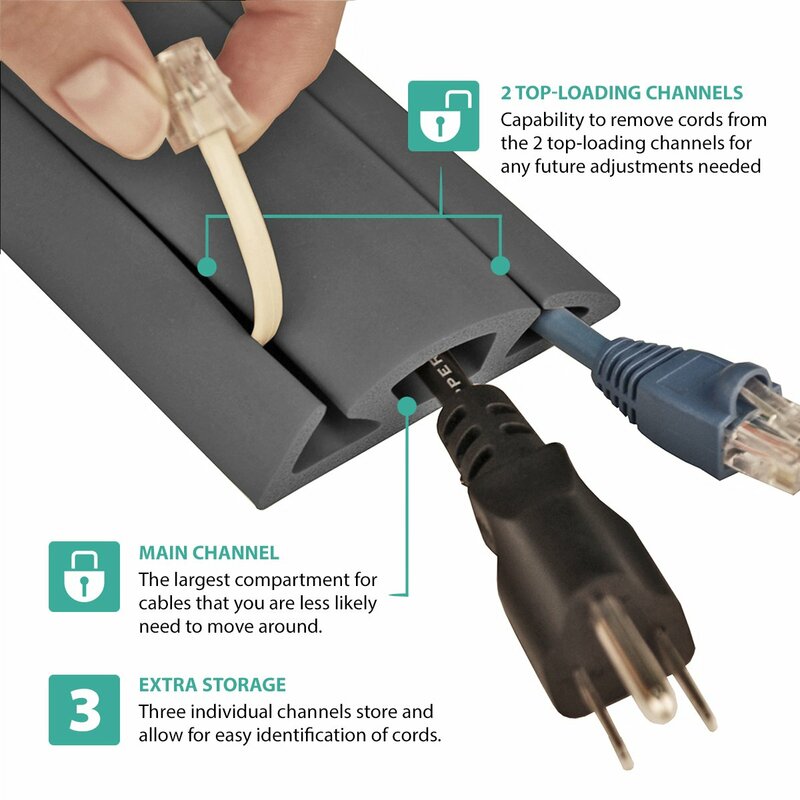 Cord protectors usually conceal and organize cables creating a trip-free, smooth surface. They help in keeping floor areas safe and clear. 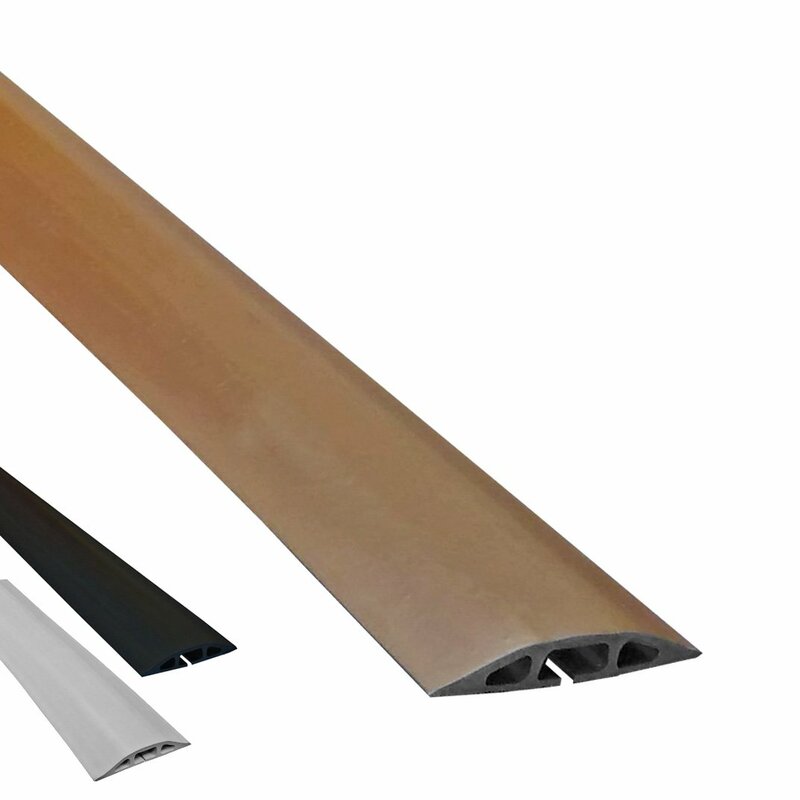 They are constructed of the rubber material that easily lays flat on the surface. They come with multiple channels that carry both power cords and internet cables. Some of them come with tapes to attach the protector on the floor.They are available in different colors and sizes. Appliances should be kept unplugged, when not in use. In addition, appliances should be positioned next to power outlets in order to minimize the length of exposed cords. All unused electrical outlets or sockets should be covered to prevent the child from any risk of being electrocuted.